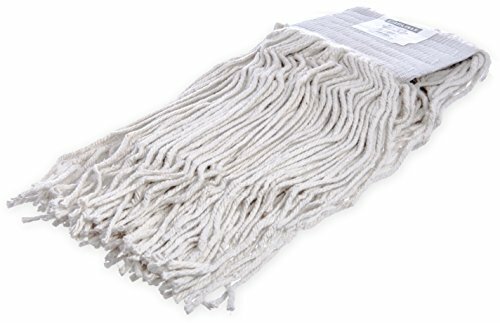 This Carlisle 369819B00 Flo-Pac size #32 cut-end mop head has a mesh band, and is made of white 4-ply cotton yarn for durability and absorbing liquids. It is suitable for use with a jaw-style handle (sold separately) for general purpose cleaning. The vinyl coated mesh band is 5" wide for attaching to a jaw-style mop handle. This mop head comes packaged in a brick pack to help reduce storage space.